On 20 April 2018, Kabyles, also known as Algerian Berbers, took to the streets to march for the independence of their region. This march occurs in commemoration of the Berber spring and the 2001 crackdown by the Algerian regime which killed 116 protesters and hence triggered the self-determination movement. This peaceful independence march saw banners and slogans calling for human and cultural rights to be respected, as well as economic equality. Every year on April 20, Algerian Berbers take to the streets to demand the independence of the mountainous Kabylie on the occasion of the anniversary of the Berber Spring, marking the bloody crackdown by the Algerian regime in 2001 killing at least 116 protesters. The 2001 bloody events triggered the birth of a movement for the self-determination of the Kabylie region (known by its French acronym MAK) which continues to gain ground among the Kabyles in Algeria and in France where a large diaspora lives. 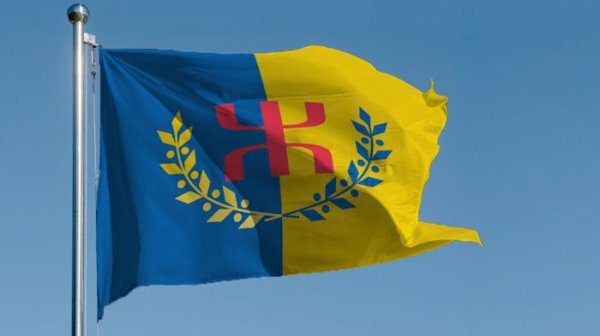 Several cities in Kabylie region commemorated the anniversary of the Berber Spring raising banners and chanting slogans for independence with a view to achieving economic equality and linguistic and cultural rights. The MAK invokes a series of grievances the Kabylie region witnessed after the independence of Algeria. They blame the Algerian regime for seeking to eradicate their linguistic and cultural particularities by imposing an arabization policy coupled with economic marginalization. The MAK was founded by Ferhat Mhenni, who leads a provisional Kabyle government in exile. The movement identifies itself as a pacifist movement seeking autonomy from Algiers as a prelude to founding an independent Kabylie state. Human Rights Watch, EuroMed Rights, Amnesty International, and Front Line Defenders have condemned in the strongest terms Algeria’s discrimination against the Amazigh (Berber) minority and called for dropping all charges against Kamaleddine Fekhar, a leading human rights activist and his 40 co-defendants. The Algerian regime has been accused by local and international rights NGOs for its involvement and impartiality in the inter-ethnic clashes that hit the ancient city of Ghardaia.